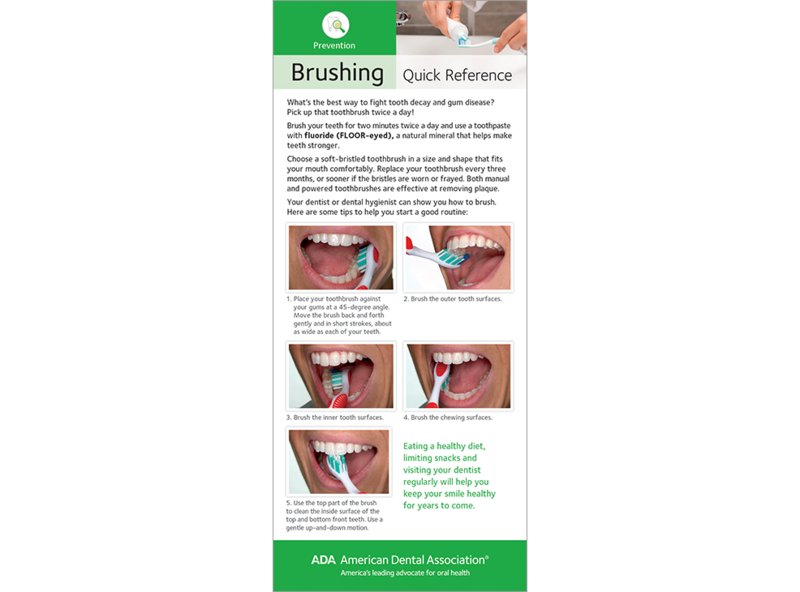 Show patients the #1 way to fight tooth decay and gum disease with step-by-step photos. Reminds them that two minutes, twice a day is optimal. Includes healthy smile tips and blank lines for your own message. Two-sided card, pack of 100.